When I say that I live in Goa, everyone gasps and sighs and thinks that it would be absolutely wonderful to live in a place where everyone goes for vacationing. Well, why not? After all the place is beautiful filled with beaches and lovely people. For a long time I had imagined how it would be to live in a place where everyone vacations and now the imagination has become a reality. Wow is the most cliched expression to Goa! 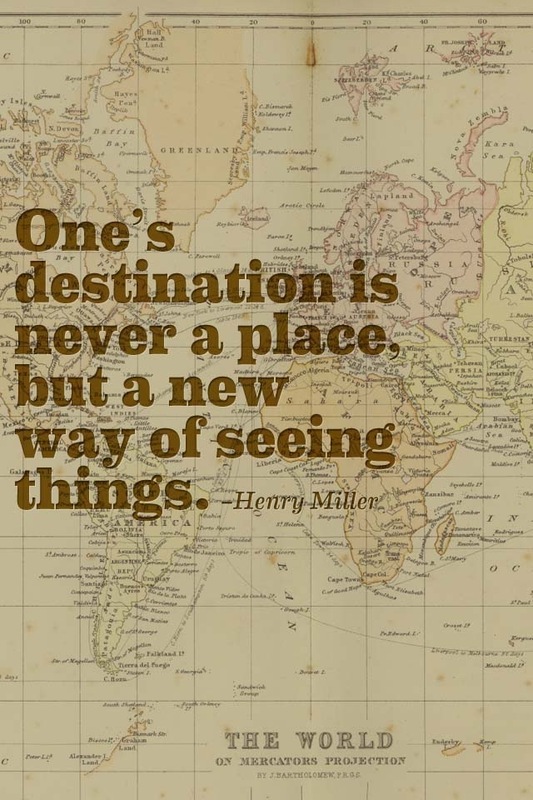 But seeing a place as tourist/traveller is a completely different perspective. A tourist does not stand in long queues, runs about for gas connections and feels that the heat is absolutely draining. Living in a place demands a removal from seeing the same place as a tourist destination. The vegetable markets which sells fresh vegetables are not seen by tourists unlike the one who dwells here. Beaches which are synonymous with Goa are not even seen where I live! But I know that there are beaches somewhere and I will get to see it soon. That promise of being surrounded by sea on all sides makes one feel glorious. But as a dweller, the taxi driver tells you that the sea around Goa makes it a humid place. He will not tell this to tourists. Sometimes I wonder whether the actual place or the imagination of a place makes a person go gaga. I guess it's a bit too early to comment. Every place, no matter a tourist destination or just another places has pluses and minuses which start raising its head slowly but I realise that I asked for it and so I will focus on the best this place has to offer. I have always had a special relationship with places. I have either loved them or hated them. But as I grow older than what I was yesterday, I realise that perceptions change. One can hate a place and continue living there for certain things just cannot be changed. As time goes, the place and the individual grow together and both are part of one another even without realising the same. We form our own comfort zones - the domestic help, the vegetable seller, the milk-man, the newspaper vendor, the local market, the community around and others. I had a comfort zone in the place where I lived before and I terribly miss my domestic help - she knew my rhythms and I hers. We were just acquainted for about eight months and I had to depart. She called me yesterday and told me that I should be careful in a new place - people are not the same everywhere. She also asked me whether I had found a new help. I miss her. As I begin my stay here, I am looking for the coordinates that will connect my comfort zones. Until the comfort zones are in place, I will be a restive dweller. So, dear reader, how does relocation and new places work for you? My friends live in Goa and we are planning a visit during Christmas vacation. What you have said is true. For one, I don't think getting a domestic help is easy or economical there. Second, you have to buy a bigger refrigerator as food grains will get infested very fast...even jaggery. Where in Goa are you based? Hope you will get adjusted soon and enjoy living there too. Looking forward to meeting you in Goa, Janu. I have already got a domestic help. And, you are right about the pests. Ants are everywhere and that too of all sizes and colour! Locals and folktales make the place wonderful. The tourists can never savour all these things. It takes some time to settle down in any place, but once you do it becomes home :). And, you are right, a touristy place is different for a tourist and much more different for a normal resident. Madison, Connecticut sees it population double from the end of May until around the middle of September so I know of what you speak. I hope you find your place in your new home. I certainly have and I don't plan on moving away from Madison. Thanks for the wishes, Chris. I am slowly getting used to the rhythms here. people make a difference, the person you are with makes a difference....but i envy u - goa! WOW!!! Everyone envies me, Yuv. Trying to know the people. hmmm well I bet goa is beautiful , I would love to come and settle down there if i could afford it ..
You can still come here for holidays, Bikram. Adjustment to a new place is always difficult. Nice that you're trying to make the best of it. The discovery of your new community will be an adventure, it will spark new things to write about. You'll probably grow to love it. That's my hope for you. Aw, Myrna, it is definitely not easy but we're trying and taking it one day at a time. But I'm happy and peaceful here. Hope the spirit of the season has injected into you and yours. Have a great time of love and peace. Such a thought-provoking observation here, Susan. I know I love where I live very much, though it is certainly no tourist destination. And, this leaves me wondering how people like you who have moved to a place which is a tourist hot-spot deal with it as such, or is it just another place of residence? Do hope you find comfort and good help here in your new home! Yes, Martha, behind the hype and all that, daily life goes on and it is quite similar to any other place of residence. Learning to listen to the place and doing it slowly. Quite nice. Wishing you a wonderful Christmas season, Martha. Yes, it takes time to get used to the surroundings and the new people. I live in Chennai and near the beach and yes, it is humid here. We can't wear a blouse or saree or dress again even if it was worn just for half an hour earlier...it stinks! Though we came here from Udupi 50 years back, we shifted to Bangalore and Hosur in between for a few years and got used to the cold climate. My husband wanted to start a business in Mysore or Tamilnadu and I prayed to god that it should be Mysore! But here, we are in Chennai. I am used to this place now. My husband says 'let us go and settle down in Bangalore after my retirement in a few months'...I said 'No'! I am used to my servant maid, the milkman and others here, like you said. But I would have settled down in Bangalore also, if I had to! You will also get used to Goa! I have not yet seen Goa, Susan! Sandhya, then this is the time for you to visit Goa. Come and stay with us. We will be happy to host you. Life goes on and one learns to adapt. I have also found a domestic help. We are slowly getting acquainted with one another. I can understand how you feel about living as a resident in a tourist place. One of my friends who grew up in Lonavala has told me something similar about life being just the same as in other cities, except maybe when the tourists drive up prices and dirty the place. 43 times in 36 years - A statue should be erected in your honour, Z. How did you manage the same? i must write to you for tips and suggestions. Thanks for coming by Z. Your insights are always appreciated. Tell me about it! When I went to Chennai - I never thought I would be able to get over the soaring temperatures, the floody monsoons, the snarling traffic or the culture, language or food for that matter. I never did, but I miss the place dearly. When I got to Mumbai, the 1 hour suburban train travels, the pushy people, the 1 room-kitchen concept apartments and the crammed-up & filthy environment was something I wanted to run away from. But within a month's time, it became home, and every other city was just not good enough. And when I landed in Cochin, the beauty of the place was too good to be true, the pace of the people was too slow to realize they were moving, the traffic jams through unplanned narrow roads were too much to take (I missed the suburban trains that were always on the dot), the choice of work was dull, the life after 9 pm was dead....and I could go on, but here I am, loving each moment of it in my own "comfort zone". I'm sure you'll soon love the other side of Goa too! I am seeing you after a very long time RGB. Hope you've been well and happy. Thanks for coming by. I was born in Boston and I miss the ocean dearly now that I live in Minnesota. It took me a long time to appreciate the beauty of the American prairie where I have been transplanted. Looking for the beauty in my new environment through my camera lens helped me see with a different perspective -- perhaps more like a tourist? Dorothea Lange said, "The camera is an instrument that teaches people to see without a camera." Linda, the new environment and ecosystem is slowly unravelling itself and I am quite tuned to the place. The newness of the place is definitely exciting and Lange is quite right when she says that about the camera. Only here, the camera is my eye and not a real camera. Susan, I used to get the same reaction when I used to tell people that I was staying in Goa. But you are right living in a tourist destination and going as a tourist are totally different. The place you are staying in, BITS, Vasco is no doubt a beautiful place. The closest shopping place is Vasco but you can also make a trip to Madgao where there are beautiful beaches. I am sure with time you will settle down and begin to enjoy the lazy pace og Goa and its people. I didnt enjoy Goa for quite sometime but then with time a place and its people grow on you. Have a beautiful stay. We both have many similarities, Rimly. BITS campus is a world by itself and my husband and I enjoy the walks and the talks. We've been to Vasco couple of times and tomorrow we are going to Panjim. It's a nice place and by and by we are getting familiar with it. This post prompted many thoughts for me. First, I live in East Tennessee, about a 40 minute drive from the Great Smoky Mountain National Forest. Surrounding that area is a huge tourist trap full of endless shopping and attractions, museums, etc. You would think that with me living so close to the mountains, I'd be up there regularly, but that's not the case. Every day life gets in the way and the thought of fighting through the tourism and holiday traffic is daunting. You do have to wrestle through all of that to get up to the Smoky Mountains. Once you do, oh my, it's breathtaking! Similar to your beautiful ocean shores, it's always at my back door, beckoning me to experience the beauty. I need to get back up there soon; the energies of those majestic mountains soothe my soul. Moving and adapting to new places? My absolute all time dreaded thing to do! I've done it several times and I am not a fan. I'm more of a creature of comfort, habit and all things familiar around me make me the happiest. That being said, I feel another move in my future, somewhere in the next couple of years. Perhaps by the time it manifests, I'll have found a way to embrace the excitement, rather than dreading all the attendant changes. Happy Holidays to you, dear one! The first few phases of the change is daunting but as time slowly passes by one finds comfort in the new place and then the feeling of being unsettled slowly dissipates. Though I dread the packing and unpacking, I am happy to be here now. I do hope your change is also something that will prove a lovely value addition to your life. I wish you the best, always. Hope the cheer and joy of this season has made you happy. Happy holidays to you and yours, dear Dawn. I am curious to see where Life takes me. I don't have a clue why I feel a move is on the horizon for me; I just know I feel it approaching. I hope that it will bring happiness, whatever and where ever it is. I hope that you are settling in and building your nest anew, sweetheart. It does take time, and patience with yourself as you begin that process of relaxing into and trusting those new surroundings. till the roots and the ground get acquainted. Wish you peace and joy in the new place. I am sure your number must have changed. Text me your new number. I'll text it as soon as I get it Govind. Loved the verse - so very poignant and true. Changing residences is exhausting for me, even just the thought of it. It seem I have to change my whole perspective on life. Interesting post. I often wondered how it would feel to actually live in my favorite vacation spots. Oh tell me about it. Changing residences is very stressing and time-consuming. Hope you are well and happy. But with that said, this was a beautiful post. To me places change and I see them definitely with different eyes, depending on the purpose of my stay/visit. To me it is people and circumstances that give a place that special aura. People do matter, Zuzana but for me places have their own pull. Sometimes even with the best people, a place that I don't vibe with, unsettles me. Hope you are enjoying the Christmas season with your loved ones and the snow. Rahul, I live close to the Airport about five kms away and the sound of those jets is just life-threatening, by Jove. Even I am quite away from the main attractions of Goa but the campus itself is beautiful and I am getting used to this pace of life. All said and done, Goa is a beautiful place to cherish and I'm so glad that we share some similar memories. Cities do have their own personality. I completely agree when you say being a tourist and being a dweller is as good as looking at two very different cities. I can relate that to my stay at Mysore. When someone wanted to visit the place.. I couldn't completely expose them to the charm of city be it the soft spoken mysoreans, the craze of yoga, the pristine lakes, morning suprabhatams, the yellow cows or Mannas market haggling...:) They would do a round of chamundi template, palace, gardens and zup.. Mysore Visit over! After a long time, I see you here and that makes me delighted, Sam. some intricate things are known only if we become dwellers in a place. I am trying to look into those spaces of this place. And as you've mentioned tourists only see the beaches, flea markets and eateries in Goa. Dwellers go beyond. I guess you're right about visiting and living in a place being 2 different things! I remember when we visited Goa and took the local bus to travel, we were amused that the bus would wait for a long time at each stop, just because the conductor had seen some one in the distance walking towards us and who *might* want a ride!! I am sure it is not amusing if you are a local and in a hurry to get somewhere! However, hope you enjoy your stay there despite the weather! I believe the houses are wonderfully colorful and December must be a wonderful month to be there! though there are certain odd things at tourist places like Goa but nothing to worry, I am sure you will soon create your comfort zone there too...insha allah. Amen to your profound thoughts, Irfan. Glad to see you here today. We constantly create and recreate comfort zones in life and this is also one among the many. Life goes on unfolding new wonders and sights. Your writing flows so beautifully Susan....I wonder why I never read you before.My loss. I so agree with you when you say that the place and individual grow together. Thats how I felt when I moved to Bangalore after living in Delhi for 15 years. And now I am back in Gurgaon...same feelings. Thanks dear Alka for those lovely words of appreciation. No loss and all. You can still read all of them. Welcome to the Meanderings. Being back in a place we left is something I am yet to know. I grew up in Bombay. Wonder how it will be when I go back to live there. 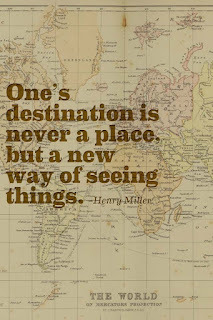 Truely said,,, u can never look at a place wer u live from a tourist point of view!!!!! I know, Sahi but sometimes when the place gets boring . . . one should think like a tourist and get excited. Thanks for coming by. Have a wonderful week ahead. I can understand, I have shifted six times in the past 3.5 years. I think I am nomadic, at times I hate it but as you said, we all learn to accept what we have. Six times is a lot. How on earth did you manage? Please give me some pointers as to how you do it. Well, we all adapt and form our comfort zones. Have a great week ahead, dear Saru. It applies to any place for that matter. We get a different perspective when we are a tourist and an even different perspective when we settle there. Being a tourist is just like being on a holiday, we neendn't worry about the climate and heat, but when we live there, every little detail matters. Ash: Quite right. In a tourist place or elsewhere, it all comes to living in a place and making it home. 29 December . . .